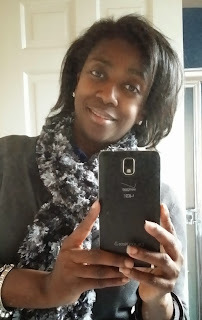 I was really excited when I was invited to a media screening of the movie "The Avengers" when it was first released back in May of this year. But I did not attend the screening because I could not take my son with me - and I knew he would never forgive me if I saw this awesome movie without him. You see, we have seen all the movies leading up to this epic Avengers tale, from the movie "Thor" to all the "Iron Man" films and of course "The Incredible Hulk" and the awesome "Captain America: The First Avenger." So I figured we would see "The Avengers" movie after it came out in theaters. But some how, with busy schedules full of sports, summer fun and working, we never got around to seeing it - and my son would remind me at least monthly of that fact. 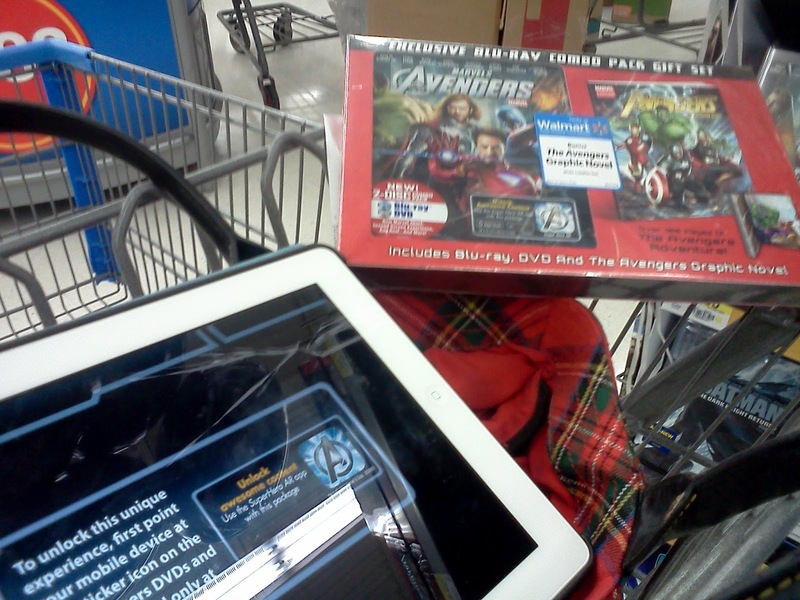 So I was beyond thrilled when I was given the opportunity from Marvel and Collective Bias to throw a family movie viewing night complete with The Avengers DVD/Blu-Ray/Graphic Novel Combo Pack available exclusively at Walmart and a family size Walmart Deli Marketplace Avengers themed Pizza, both with Augmented Reality Avenger Experiences. Now I will be honest and say that I have never purchased a DVD combo movie pack before. I usually just rent the movie on Amazon for my family to view it from home. But I may have to reconsider how I purchase movie releases for home viewing after all the fun we had with The Avengers DVD/Blu-Ray/Graphic Novel Combo Pack. There was so much in this pack that it is hard for me to know where to begin with telling you all about it. 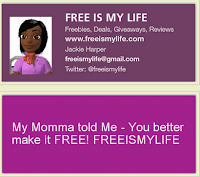 So I will start at the beginning with the fun you can have in Walmart stores just purchasing the combo pack. My Avenger adventure began by downloading The Avengers Augmented Reality App for Android and Apple devices. 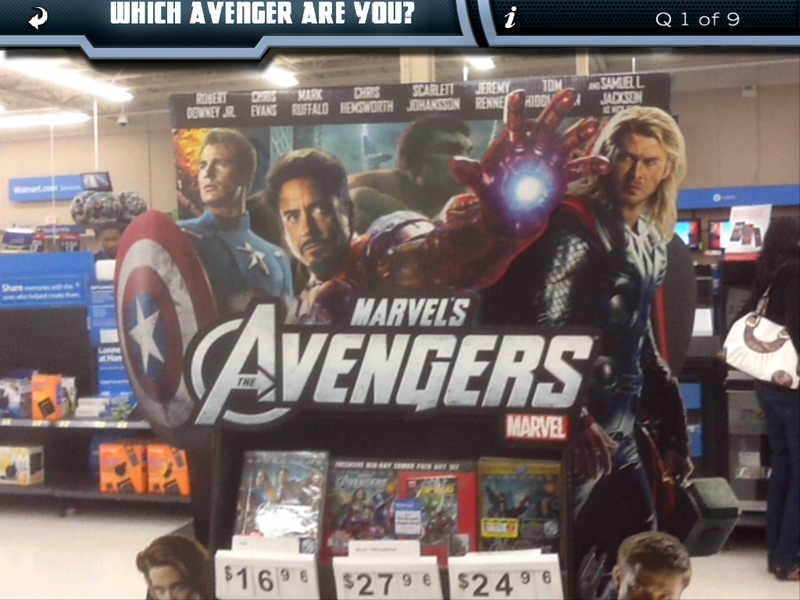 With this app you can interact with the Avenger displays at your local Walmart store to unlock cool activities like taking photos with the Avengers, answering questions to learn which Avenger superhero you are most like and more, and even interacting with the DVD and other movie item packing to see 3D scenes for the movie. The special Avenger displays at Walmart that work with the Avenger Augmented Reality App are located in multiple departments in the store. Just a warning that not all stores have all the displays. My local Walmart did not have all the displays to unlock all the questions to find out which superhero I am most like. I think the Walmart associates may not have fully understood that the displays contain technology to use with the augmented reality game because I found some displays were blocked in by other merchandise. 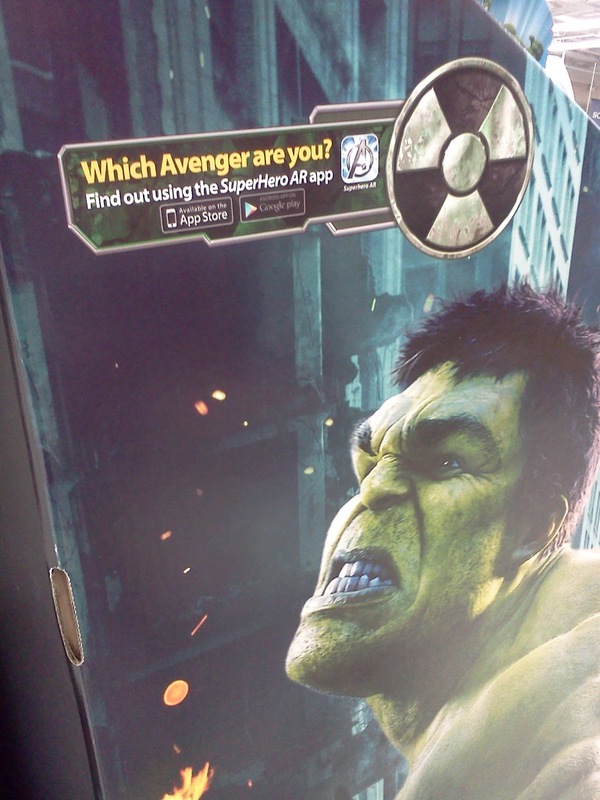 The augmented reality feature that I had the most fun with was the Avenger DVD display where I bought the Avengers BluRay/DVD/Graphic Novel Combo Pack. The DVD has a code on the front to the box that is used with the Avenger Augment Reality app to view a 3D end-of-world fight scene from the movie. 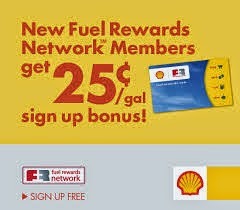 When my son saw this, he declared the Avengers DVD and Augmented Reality App to be "totally cool." The Avenger themed Walmart Deli Marketside Pizzas are HUGE!!! After I picked up the Avengers DVD and played with some of the augmented reality displays, I rolled over to the Walmart deli to pickup a pizza for my Avenger family night movie viewing party. 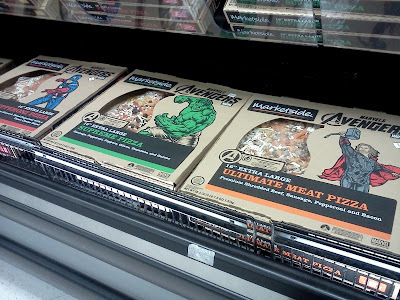 Just for the movie, Walmart has three Avenger themed Marketside Pizzas available. This was the first time that I have shopped at the Walmart deli, and I was floored just by the pizza selection. 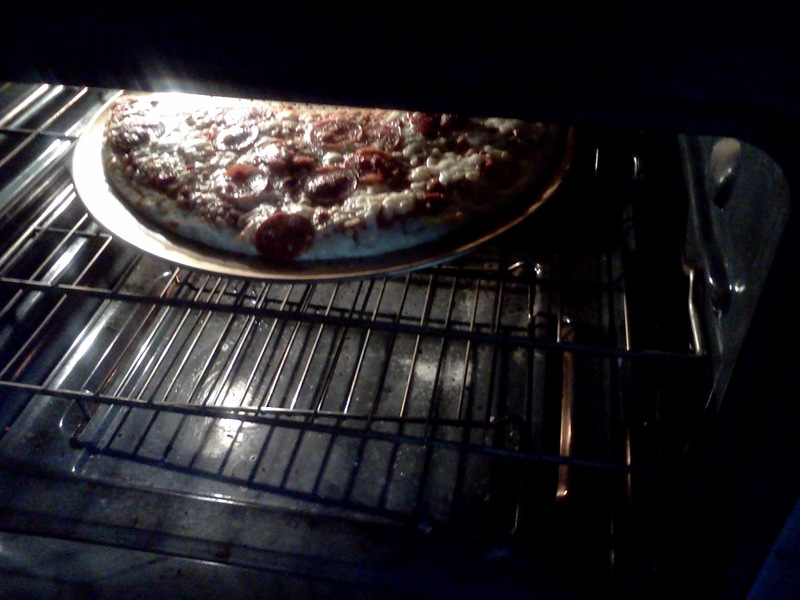 I choose the Captain America themed Pepperoni Pizza since my son loves pepperoni so much. When I put the pizza in my cart, I could not believe how big it was. I was actually afraid I might not be able to get the box in my frig. And the price was wonderful. I could not believe that a 16" Extra Large Premium Sliced Pepperoni Pizza with a 3 Cheese Blend only cost $7.98. These Avengers Pizza boxes also have special technology that works with the Avengers Augmented Reality app. 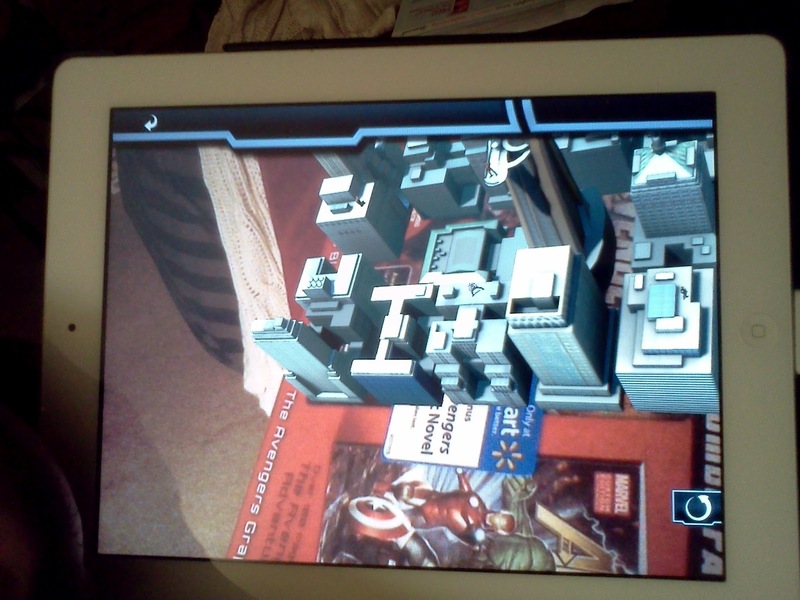 Just like with the Avengers DVD box, the Augmented reality app shows you a very large 3D fight scene from the Avenger movie. 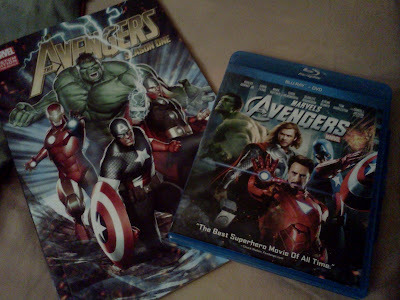 What's not on the Avengers BluRay/DVD/Graphic Novel Combo Pack??? Besides all the augmented reality fun that you can have with just the Avengers DVD box, this combo pack has enough activities available to keep my son occupied for days. In addition to the movie, there is a gag reel and an original Marvel short movie. 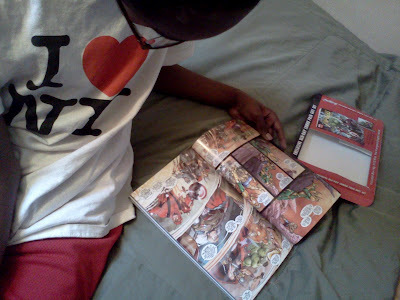 And of course there is the graphic novel that comes with the combo pack. 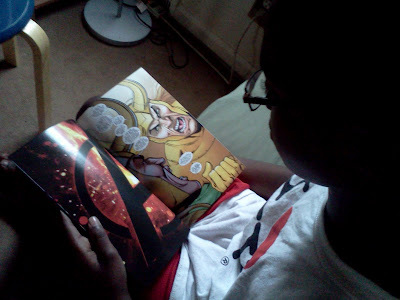 My son L-O-V-E-S these kind of novels and this one, The Avengers: Season One, contains 100 pages of all color comics. I have paid as much as $10 for similar graphic novels. After I brought the combo pack home, he spent the rest of the evening just reading the Avenger novel. So our movie night started with the great Walmart Marketside pizza, which was so big, I had to cut it in two before I cooked so we would have not lots of pizza left over. 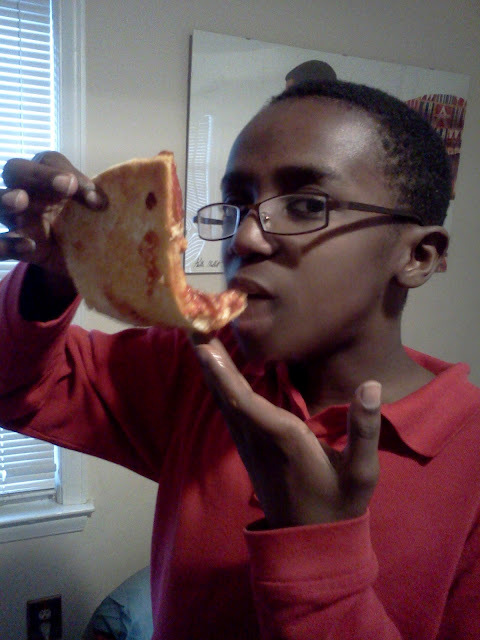 I was so in love with the pizza that I took some for my lunch the next day. I had no idea Walmart made such great pizza. 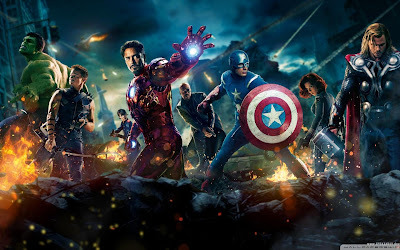 The Avengers movie picks up where the other Avenger super hero movies left off. Captain America (Chris Evans) has awaken from his 70 years of being frozen in ice to learn how to cope in a totally different world. Iron Man (Robert Downey Jr) has built his huge headquarters overlooking the city and needs some downtime to spend with his lady love. The Hulk (Mark Ruffalo) is trying to stay "zen" by helping other people in third world countries with his medical skills. And Thor (Chris Hemsworth) is still reigning as king on his planet while mourning the death of brother Loki. But what no one knows is that the evil Loki (Tom Hiddleston) is very much alive and plotting to take over the Earth that his brother has sworn to protect. All the Avenger movies now merge into one with original characters returning from each movie to fight to protect the Earth. But the leaders of Earth are afraid of the Avengers and are planning their own way to get rid of them for good. The movie follows all the twists and turns of the Avengers trying to work together while never trusting each other and then ends with one of the most spectacular fight scenes in the history of super hero movies. We loved every minute of this movie. And if you watch the movie all the way to the end, pass where you think the movie ends, you will find out this movie is setup for a sequel - YES!!! My son and I thoroughly enjoyed our Avenger experience. 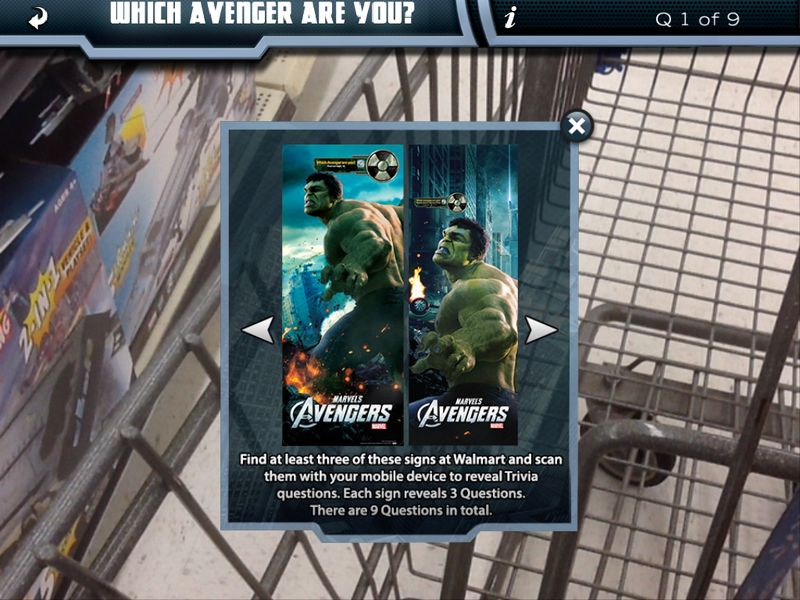 Marvel's partnership with Walmart for the Avengers augmented reality app is great, but Walmart needs to have their associates to do a much better job with making the displays easy for people to interact with them. The Walmart Marketside Pizza was delicious and I would never have thought to check-out the Walmart Deli had it not been for this experience. The Avengers Combo Pack with the DVD, Blu-Ray and Graphic Novel that is sold exclusively at Walmart is a great combination for Avengers fans since you cannot beat getting all this great content in one purchase. 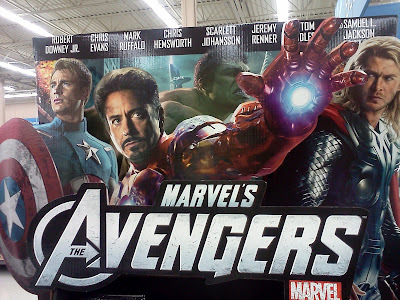 There will be special Avengers Character Appearances in select Walmart stores on Saturday, September 29, 2012 so contact your local Walmart to see if your store is part of this promotion. 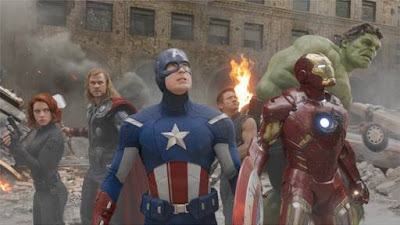 Check out more about The Avengers by following Marvel on Twitter and Facebook. And be sure to check out my entire Avengers DVD shopping experience at Walmart by viewing my photo album on Google+.